In the Bible, Jesus fed the 5,000 people by breaking bread and sharing it with the masses. 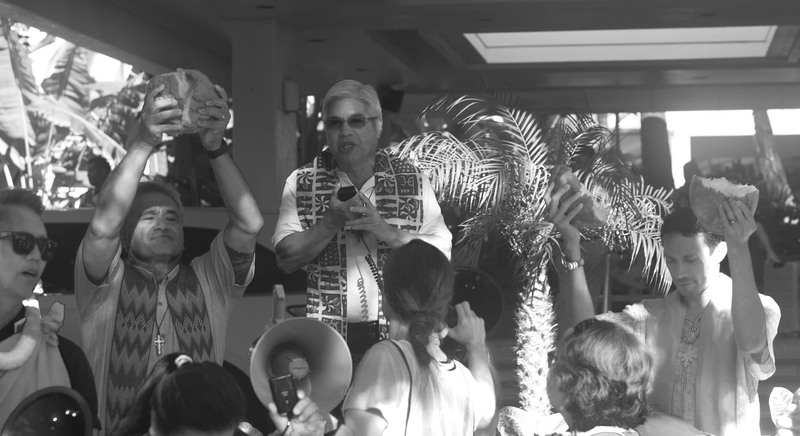 Our faith allies echoed this action yesterday morning by breaking bread for the strikers in Waikiki. With every beat of the drum, with every step we take, with every chant we yell, every relationship we built, every boycott, every delegation, every leaflet, every effort we have moved this contract forward. We are approaching the top of the hill, let’s bring this home. Never surrender! Negotiations are moving along but we still haven’t reached agreements on our final priorities: 4-year contract, housekeeping room drop, and big money for our wages and benefits. We have the strength, we have the unity, never surrender!